A US hedge fund has snapped up a €500m stake in Ryanair, betting that the airline is undervalued after months of labour strife. Chicago-based Harris Associates revealed in filing with the stock exchange yesterday that it now owns 3.07pc of the airline. The US activist firm touts itself as a value investor and has previously held stakes in companies such as Bank of Ireland. Harris Associates said it breached the 3pc ownership mark where it has to inform the stock market of its Ryanair holding, on August 22. It now owns 35.2m shares in the airline. It could already be sitting on a paper profit, with shares in Ryanair having climbed more than 2pc at one stage yesterday. That valued the Ryanair shares held by Harris Associates at just over €500m. 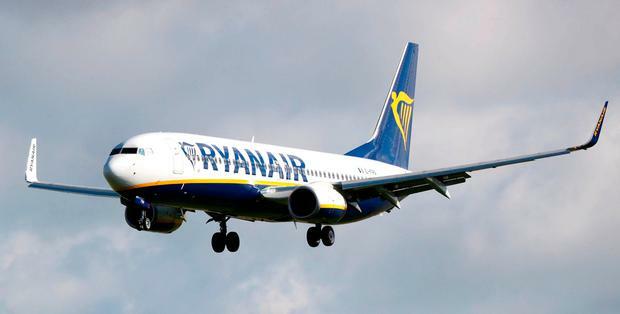 The shares rose after Ryanair said it had sealed a collective labour agreement with its pilots in Italy, which accounts for 20pc of the carrier's fleet and pilots. It comes less than a week after a Ryanair signed a proposed collective labour agreement with Irish trade union Fórsa for its pilots based in Ireland. That followed strikes by the Irish pilots. The proposed agreement is being balloted on by union members, with Forsa having recommended a vote in favour. The Italian deal will see Ryanair pilots there being entitled to paternity and maternity rights as well as severance pay, according to trade union Anpac. The union said it remains in talks with other unions and Ryanair for the negotiation of a collective labour agreement for Ryanair flight attendants based in Italy. Harris Associates has about $140bn (€120bn) of funds under management. It seeks companies it believes are trading at significant discounts to their underlying value. In an interview posted this month on Harris Associates' website, the firm's international equity chief investment officer, David Herro, said that share volatility in Europe during the first half of 2018 had provided investment opportunities. "What we've seen in the first half of 2018 [in Europe] is share prices generally moving down, whereas the intrinsic value has actually gone up, thereby providing us opportunity… which we can take advantage of for our clients," he said. "What attracts us to companies based in Europe is the valuation," he added. "These companies are trading at a significant discount in many cases to their peers around the world." Shares in Ryanair, with a market capitalisation of €16.2bn, are currently trading 20pc lower than they were 12 months ago. They were as much as 30pc lower in early August compared to a year earlier, as pilots in countries including Ireland, Belgium, Germany, the Netherlands and Sweden staged strikes. Neither Harris Associates nor Ryanair had responded to queries for comment at the time of going to press.